This post was written by Tim Leister with information shared by Joan Betzner. It’s being shared here for you to learn more about our new OverDrive service! There are many possibilities for use in the elementary classroom, including independent and partner reading, to support small group instruction, and also to use during whole-group literacy experiences if you opt to project the book for students! OverDrive is a new feature offered through the District Libraries and IU13. Overdrive gives students, teachers, and staff access to thousands of e-books and audiobooks. The e-books can be read on a computer, e-reader, tablet, smart phones, and a variety of other devices. The e-books could easily be projected onto a white board or smart board to share as a class, while students may also enjoy the experience of reading an e-book. The books offered in the Lancaster-Lebanon Intermediate Unit 13 Digital Library have been selected by a committee of librarians from throughout IU13. Teachers and students can search books by Lexile levels or grade levels, if a book is needed for a particular grade range. Some may be familiar with Overdrive through the public libraries. When using OverDrive with students, you want to be sure to use the correct link to the IU’s OverDrive Digital Library. The correct log in link is located on both the Garden Spot Student and Teacher Symbaloo Links pages. Once you access the OverDrive IU Digital Library, if necessary, pull down the menu to get to Eastern Lancaster County. Use your school user name and password. Once you find a title you like, click BORROW. This will open the book in your web browser. You can read it immediately, or wait until later. It is a good idea to save the book in your favorites. Once you close the book, you can open it back in Overdrive by choosing ACCOUNT. This will open your bookshelf. There is an Overdrive App for iOS, Android, Nook and Amazon, but this is designed primarily for Public Libraries. To use the App, you’ll need to create an Overdrive user name and password different from the one you use at school. Also, you need to also have a public library card. Once you have logged in you can ADD A LIBRARY. You would choose the IU13 Digital Library, and need to log in again. Contact me or the elementary librarians with any questions! This entry was posted in Resources and tagged language arts, library, literacy, mobile, OverDrive, reading on November 11, 2014 by elemtech. 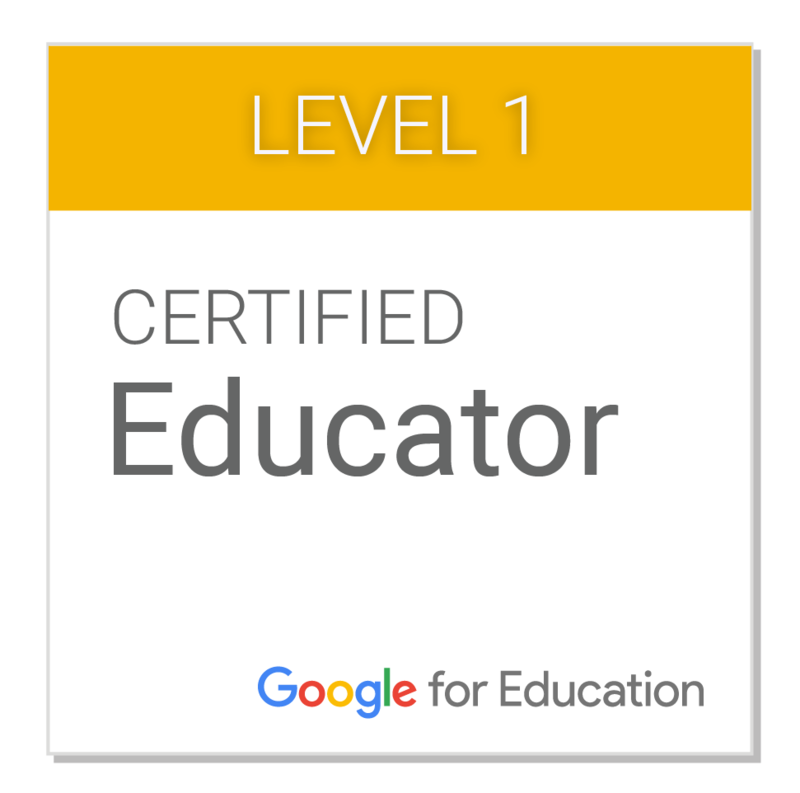 Looking to learn more about instructional technology topics this summer? Look no further! 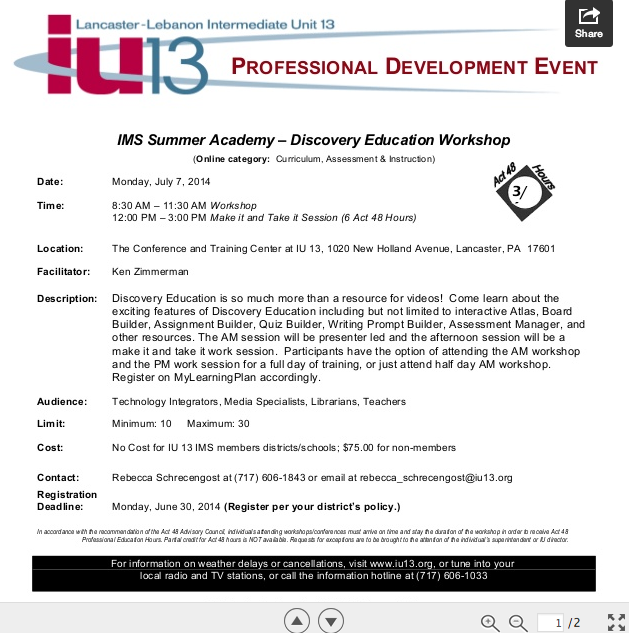 IU13 Instructional Media Services is offering a variety of sessions at this summer’s IMS Summer Academy! 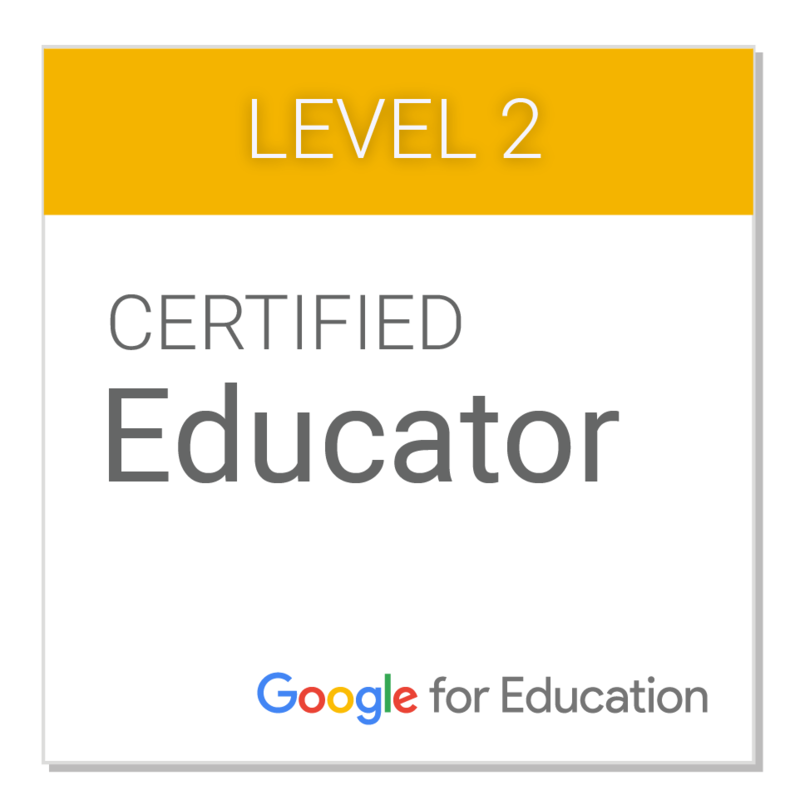 This entry was posted in Professional Development and tagged CultureGrams, Discovery Education, IU13, OverDrive, professional development, Safari Montage on March 18, 2014 by elemtech.